After arguing against ‘higher consciousness’ or freedom evolving, let us go on to discuss consciousness inside computers. This is, maybe surprisingly so for some readers, closely connected with the non-existence of gods and in fact quantum theory. Ironically (given what I wrote the last time), cyberspace and its breakneck speed evolution is still the big hope for some ill-defined freedom. Since cyberspace is all about information technology, should there not be higher consciousness after all? Maybe a ‘god2.0’ develops and grants us salvation in virtual reality, in a simulated matrix? The holographic universe: Wake up, we are a ‘simulation’ anyway! The idea that we live in a sort of dream is at least as old as the ingestion of psychoactive mushrooms ice ages ago. The little toadstools tend to provide precisely such epiphanies. 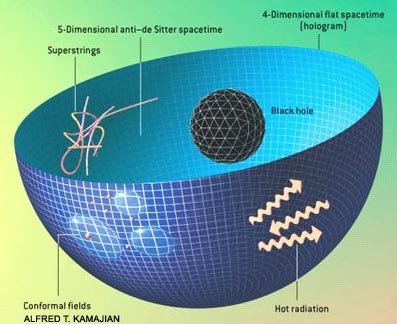 As a physicist, I know that the universe is fundamentally describable as computation anyway - do I need mention buzz words like holographic universe? A number of popular writers however tell us that such is turned into a scientific hypothesis by introducing anthropic arguments based on ill defined statistical ensembles. The pipe dream became ‘Nick Bostrom’s simulation hypothesis’. What a silly idea: An advanced structure having any interest whatsoever in recreating some violent, self-important beings from way back in the old days. What a sadistic god2.0 who re-creates all this suffering. But such is not my main concern. There are enough geeks out there who love to play god. We should not confuse ‘advanced’ with ‘better’. Evolution is not a ladder upwards to some telos in the sky. My main criticism comes from the convergence of fundamental physics with the philosophy of mind. There is a non-mystic connection between consciousness and quantum theory. That there are deep connections is actually quite obvious – never mind the hordes of people who make a pseudo-science woo fest out of it. Quantum mechanics alone teaches us that it is totally wrong to count souls inside a box/lever/pulley reality. We do not reside in such a classical box! We are different perspectives, ‘cuts’ through a fog of potentialities that is partially describable via quantum physics. Probability of phenomenal experience is not frequentist but possibly based on decision theory, as David Deutsch suggests. Not only does a proper treatment of probability destroy the Bostrom argument’s purported rigor. I claim that a structure that has grasped the as yet mostly as ‘multiverse’ misunderstood concept of so called ‘modal realism’ will not bother creating what exists already anyway. 1) In a classical physics simulation like the Game of Life (GOL), no phenomenal consciousness supervenes and all you have is a bunch of zombies. 2) Inside a quantum simulation, in which case you do not need to bother, as all that you can simulate is already simulated by the universe and your choice of initial conditions hardly constrains anything happening inside the quantum superposition of the simulation. This may render the efforts at creating yourself via simulation in a computer look like the Egyptian pyramids: A totally misguided waste not unlike hunters and gatherers trying to get to the souls of their prey by drawing patterns on cave walls. Sure, this is really a physics description of the philosophically known non-existence of traditional creator deities. It is the fact that any such god is totally decoupled from its own creation, which exists relative to itself already anyway. It does not fully argue against god2.0 developing on our own level. People do start to live in virtual realities. They may put only their brains in there at some point, then slowly technology may replace more and more of their neurons and dendrite trees until the whole is gradually replaced and sped up by orders of magnitude. Perhaps necessary quantum calculations may also be sped up in quantum chips. Maybe one could copy all those fast hardware brains and make thus many more “people”. Somebody may take over control and thus become the god of everyone else, changing the laws of nature experienced by everybody, punishing anybody eating virtual mushrooms in virtual hell. God2.0scenarios are conceivable, although the souls in the just imagined scenario likely lose interest in their individuality and all that which makes us puny humans yearn for eternal life, but this will be a topic for another time. Note that the simulation hypothesis as supported by Bostrom for example, is basically about classical simulations like the Sims game in computers that are quantitatively much better but not qualitatively different from computers today. The quantum-mind connection may put surprisingly strong restrictions on what can be achieved via advanced virtual reality, for instance in terms of compressing experienced time into real calculation time. I introduced here maybe two and a half novel criticisms that should cool the high hopes of transhumanists, and I have not even addressed the main point, namely that truly advanced intellects will likely soon seek nirvana anyway. My conclusion is that those hopes for higher consciousness and heaven on earth or in the computer are fashionably sciency but also plain old religion.